Hello, there! 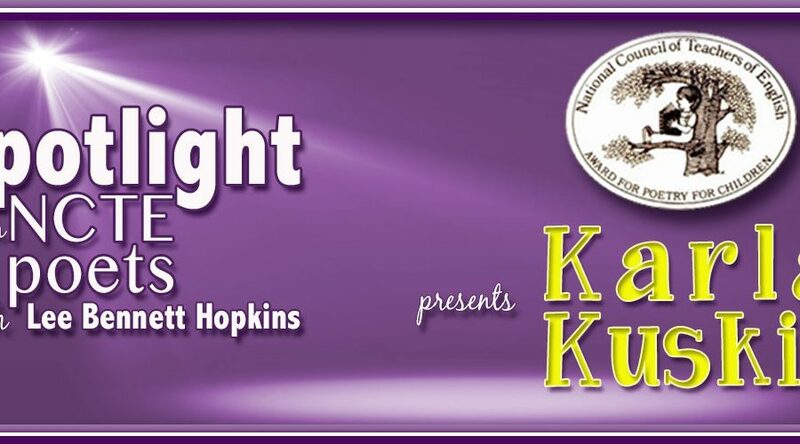 Welcome to the second episode of SPOTLIGHT ON NCTE POETS! 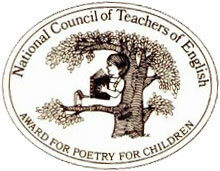 The videos in this new series that I’ve cooked up with the help of Lee Bennett Hopkins are brief and personal looks at all the recipients of the NCTE Award for Excellence in Poetry for Children. And we have good news! Thanks to the advocacy of Amy Ludwig VanDerwater, the SPOTLIGHT videos will be featured and permanently accessible on the NCTE website. We don’t have all the details yet, but there is a page in the works to highlight the videos and blog posts, which I’ll announce when it goes live. We thank the generous folks at NCTE for their enthusiastic recognition of the series and their efforts to help us preserve and distribute it! 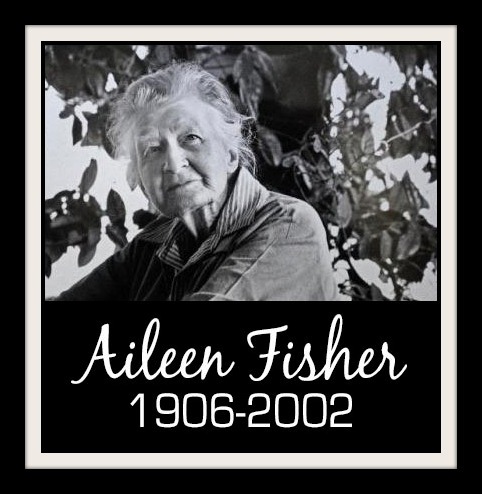 Aileen Fisher wrote over 100 books for children, which included not only poetry but also biography, natural history, and plays. Her first book, The Coffee-Pot Face, was published in 1933. As Lee mentions in the video, Aileen gave us a lot of poetry about nature, and one of the very few (the only?) of her books that is currently in print is the vibrant yet poignant picture book The Story Goes On, which deals with the cycle of life. The friendly collage illustrations by Mique Moriuchi belie the rather frank discussion of prey and predator, as described in this review by Publisher’s Weekly. But that doesn’t stop me from adoring the enthusiastic “Ho!” of the bug. This is what I love about Fisher’s work — simple words and tiny details that create gigantic worlds of wonder. Aileen Fisher grew up in and loved the country, which clearly informed her writing. Having also grown up in the country where I eschewed shoes whenever possible, I was particularly taken by this enchanting collection of poems. Here is just one of the delightful poems I found, this one asking a perfectly reasonable question. Lee’s stories about Aileen reveal the charm and independent spirit of this wonderful poet, giving us a behind-the-scenes glimpse of who Aileen Fisher was and how she interacted — or didn’t! — with the world of children’s poetry that she helped create. We hope you enjoy our second episode of the series! And so we end with the beginning: Aileen Fisher’s first published poem, “Otherwise,” which appeared in Child Life magazine in 1927, and which perfectly illustrates the poet’s talent for capturing a child’s wonder and curiosity. Doraine Bennett has the roundup over at Dori Reads. Get over there, where there must be magic! You’d like to receive my weekly posts in your inbox, you say? Well, just sign up below! All poems © Aileen Fisher. All illustrations © by respective illustrators. All rights reserved. Great compilation of poems for Aileen Fisher. I like what you’re doing with this series! What a wonderful peek into the rich collection of Aileen Fisher! Thanks, ladies! We’re having fun with it – plus I’m learning so much! Love this series, Renee and Lee! and great to hear the NCTE is working on preserving the videos! Love Aileen Fisher! Great to read some of her work here! 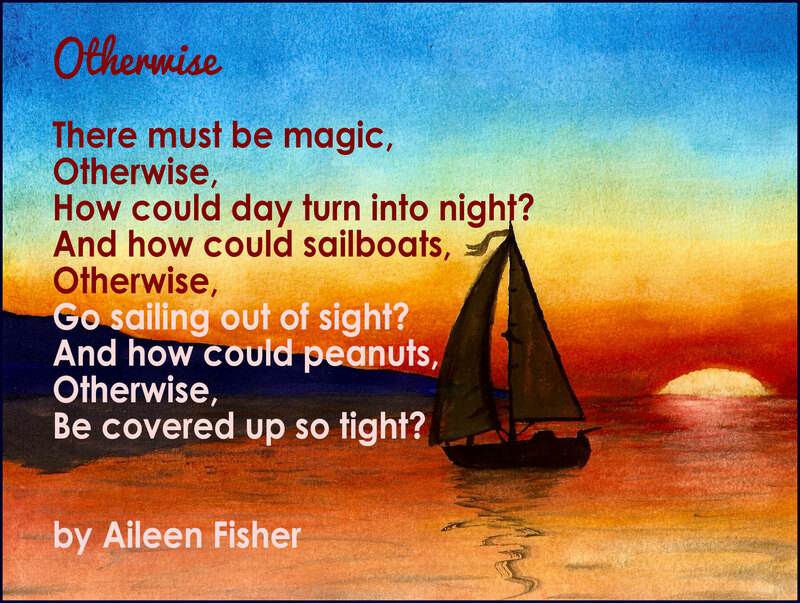 Aileen Fisher has always been one of my favorite poets. Thanks for this fabulous post! Thanks, BJ and Andromeda. I just love the childlike quality of her work. How did she do that? I am reading your post this morning, getting ready for what looks like going to be a very busy and stressful day but now I feel invigorated! I am going to memorize the tree poem and recite it to myself at those busy times during the day. I had never heard from Aileen Fisher, her poems seem so deceptively simple and capture that childlike view of the world. Thanks for this post Renee! I’m so glad the post brightened your morning, Yvonne! That tree poem makes me happy, too. Lovely! I haven’t read any of these. That shall promptly change. Thanks, Renee! 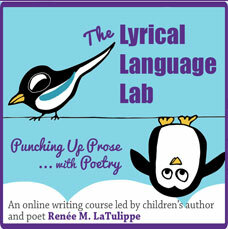 Renee- what wonderful gifts you are creating for all of us lovers of chlldren’s poets/poetry, and for the future too. 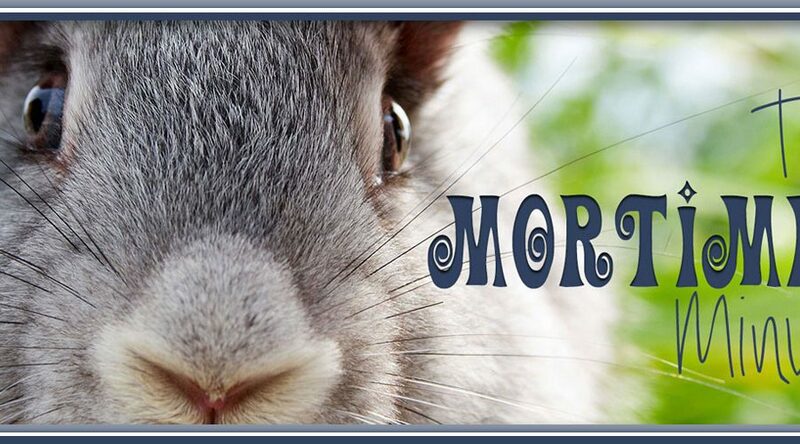 This is just a fabulous post filled with those little tidbits that just make us want more, and more. I didn’t know that Aileen Fisher lived so close to me, and I will try to see if there’s anything kept about her in our area! 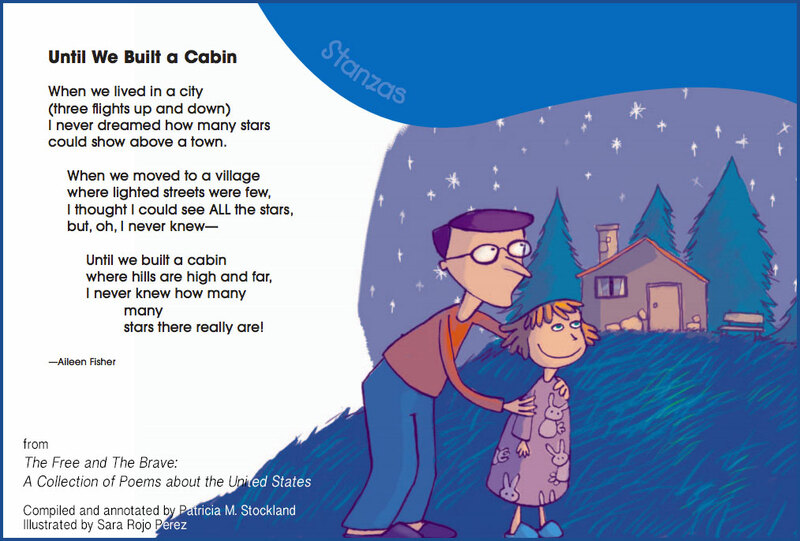 The cabin poem is very special. My family and I had a cabin, & I just sold it to a young family this past spring. It was filled with a starry sky too! Thanks for every little bit, and looking forward to the next about Karla Kuskin, a favorite of mine! Ooh, let me know if you find anything in your area about Aileen and I’ll add it to the post! I’m not familiar with her work, but I thoroughly enjoy was you and Lee are doing. Will have to look into her work. Such a lovely way to preserve memorable work of special poets. Thank you, Patricia! I’m so pleased Lee agreed to do the series and share his stories! You said it best, Renee – “simple words and tiny details that create gigantic worlds of wonder.” I’ve always enjoyed her ability to say so much in such small spaces. I *love* this series. Thank you, Renee and Lee, for this gift that you are giving to the world. I’m so glad you’re enjoying it, Rebecca! Lee is a treasure! You are so right, Renee. It is sigh-inducing indeed – the blanket of stars above. You’re doing something really precious here with the NCTE highlights – good to know that it will have its own page in the NCTE website. My heart skipped a beat seeing all the book cover images, I have a special weakness when it comes to vintage books for children. 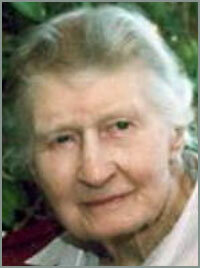 I confess that I am not that familiar with Aileen Fisher – so I would have to research her works in our libraries here. Sadly, all her books are out of print as far as I can tell (except for STORY GOES ON). What a shame! I hope your library has some. It’s wonderful to learn more about these amazing poets. Oy! A great, informational post about a great poet! I like the “Otherwise” poem! Very well written! I’ve read poems of Aileen Fisher before (and loved them) but didn’t know anything about her life, so thank you for this in-depth look at this talented lady and her writing. Oh, good! I confess I haven’t started reading it yet, but it is next on the list. We’ll compare notes! Thank you for this! What a gift this project is to all of us. Wonderful! OMG I love this series so much. I love you Renee and I love you Lee. This is so needed. We don’t know where we’re going unless we understand where we came from. This is manna from Heaven. This is amazing…a beautiful post that really touched me. I love the quote about not growing up. You and Lee did a wonderful job.Thanks! Renee, many thanks to you and Lee for this personal retrospective of Aileen Fisher. It brings to light how different the publishing world is today. One has to wonder if a new poet that was as reclusive as Aileen Fisher could even be discovered, much less treasured, within the din of today’s ultra-connected, internet and social media-driven world. One can only hope they would find a way.